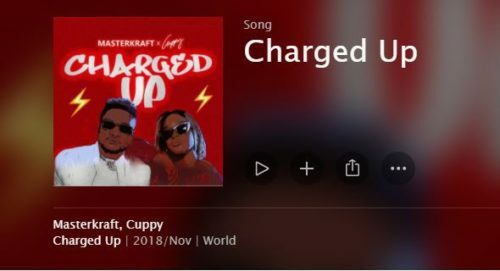 Update your music playlist with this new piece of music from Masterkraft X DJ Cuppy – Charged Up out now! A big tune ‘Charged Up‘ drops from one of Nigeria’s biggest beat maker Masterkraft and celebrity disc jockey DJ Cuppy. Music producer Masterkraft teams up to work together with DJ Cuppy for the first time since the later delved into singing. The tune is inspired by the popular ‘Quom’ or ‘Gwara Gwara’ sound from South Africa. Listen, enjoy Masterkraft X DJ Cuppy – Charged Up below. Remember to share!